Twenty five years have passed since the occupation of Azerbaijan’s Gubadli region by the Armenian armed forces. 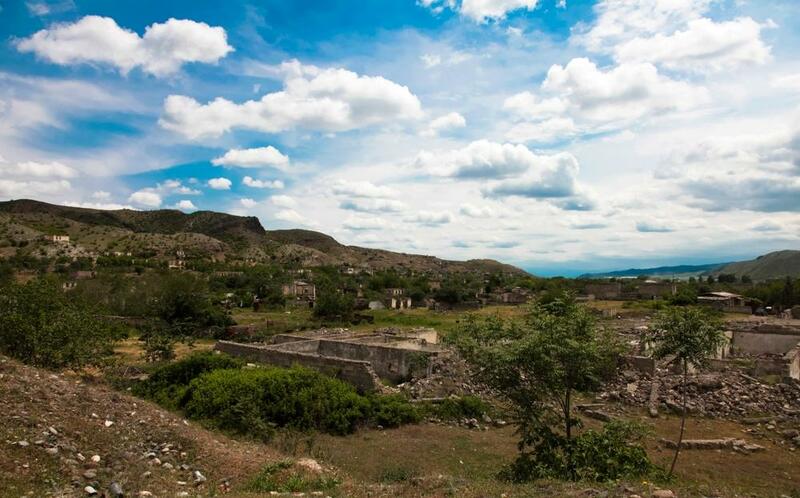 Gubadli region with an area of 802 square kilometers was occupied by Armenian troops on August 31, 1993. All 93 villages of the region and the city of Gubadli passed under the control of the enemy, more than 31,000 people of the population were expelled from the ancestral lands. After the occupation of Lachin, Agdam, Fuzuli and Jabrayil regions, Gubadli has been under a siege. Armenians burned 96 villages and settlements, 205 cultural and household objects, 12 historical monuments in Gubadli region. There were 21 secondary schools, 15 primary schools, 7 pre-school educational institutions, 4 hospitals and 33 health centers and 111 cultural and educational establishments, including 60 libraries, 10 cultural centers and all of them were totally destroyed by the aggressor. Armenians also burnt the Gubadli Historical Museum, which contained over 5,000 very rare exhibits. Now under the occupation there are a sanctuary dating back to the 4th century, Galali castle monument in Muradkhanli village and Goy (Blue) castle monument in Aliguluushagi village (5th century), the bridges of Haji Bedel, Lalezar, tombs in Demirchiler village (14th century) and other historical monuments built in the 14th century. Gubadli region, situated between Mount Zangazur and Nagorno Karabakh mountain range, is distinguished by its favorable geographic location, unique picturesque landscape, rocky and steep mountains, turbulent rivers - Barkushad and Akara and attaching special coloring. Before the invasion, about 13.2 acres of the state forest fund existed in the territory of Gubadli. Gubadli also had vast deposits of agate, marble, many springs rich with natural minerals. After the occupation, invaders depleted the diverse nature of Gubadli. As many as 54 people were killed during the battle for Gubadli, while 232 residents of the Gubadli region were killed in the Karabakh war and 146 people became disabled. Today, as a result of military aggression, the ancestral territories of Azerbaijan Nagorno-Karabakh and 7 administrative regions attached to it are occupied by Armenia. As a result of military aggression by Armenia, more than 20 percent of the territory of Azerbaijan was occupied, more than 20,000 people were killed, more than 50,000 people were wounded and maimed. More than 1 million people, victims of the policy of genocide and ethnic cleansing carried out by Armenia against Azerbaijan, live in the situation of refugees and IDPs, are deprived of basic human rights. So, Armenia grossly violating the provisions of the Convention for the Protection of Cultural Property in the Event of Armed Conflict and the Convention on the Means of Prohibiting and Preventing the Illicit Import, Export and Transfer of Ownership of Cultural Property, is engaged in looting cultural property of Azerbaijan. Despite the demands expressed in UN Security Council resolutions on the need to recognize the territorial integrity of the Republic of Azerbaijan and the release of the occupied territories of Azerbaijan without preconditions, the Republic of Armenia continues to pursue its aggressive policy.